Shark bite management involves considering many factors and it takes a team to deliver the best care. Here, an emergency medicine pharmacist is interviewed on the topic of shark bite management. Bite wounds from animals or humans pose a variety of challenges to clinicians. When these wounds occur in the aquatic environment, an additional layer of complexity is added. John Smith is a 34 year old male who was on a snorkeling tour in the Florida Keys when he unexpectedly encountered a black tip shark, which bit him on his left thigh. He has multiple puncture wounds and a large laceration, all of which has been exposed to salt water. The wound was attended to quickly, but he has lost a significant amount of blood and he is unconscious upon arrival to the ED. He has no significant past medical history or surgical history. As you can see, there are a number of factors going on here. There is the loss of consciousness, the wound, and exposure to bacteria found in salt water which can cause infection. How will the medical team leverage their skills to provide the best possible care for Mr. Smith? To get insights on the topic of shark bite management, I asked Dr. Santiago if he would be willing to do an interview. He agreed and the following questions were posed. The following is an interview with an experienced ED pharmacist on the topic of shark bite management. 1. What drew you to working in the ED as a pharmacist and did you ever think you would need to know about shark bite management as a pharmacist? Amazing, extraordinary, mind-blowing and incredible are some words that come to mind when describing my attraction towards the ED. The spectrum of healthcare that is encountered in this setting was something that I had never been exposed to before my first clinical rotation as a pharmacy student. To be cliché, it was love at first sight. From observing the systematic response of the trauma team to counseling patients about their antibiotics on discharge, I was hooked and amazed that the pharmacist played such an essential role in this arena. The patient interaction, hands-on aspect, organized chaos, and optimization of pharmacotherapy are the things that keep me motivated in this specialty of pharmacy. Aquatic traumas were something new to me when I came back to Miami. Training in the Midwest and practicing in the Northeast, I did not have much experience with water related injuries (just the occasional icicle related trauma). While you are trained to be resourceful for unique patient presentations in the ED, management of shark attacks was not on my radar. 2. When a shark bite patient comes into the ED, what is the highest priority from the pharmacotherapy perspective? This process quickly determines the patient’s level of acuity and issues are addressed as they are identified. The medication list that runs through my head initially is appropriate agents for intubation, and then a resuscitation strategy if the patient is hemodynamically unstable. After each step is met in the primary survey, I think of my plan for analgesia, appropriateness of antibiotics, and of course, updating the patient’s tetanus status when indicated. 3. Are antibiotics needed for all victims of shark bites? Yes. Due to the nature of the attack and the environment that it occurs, every patient should receive antibiotics for a shark attack. A recent case report by Popa and Van Hoesen describes a “shark encounter” where a diver was grazed by a shark’s mouth, sustaining two puncture wounds . The shark was not provoked, so this was not described as an attack; however, the patient sustained an injury and was treated with a 10-day course of oral antibiotics (cephalexin 500 mg four times daily plus ciprofloxacin 500 mg two times daily) and closure of the wounds in the ED. The patient in this case was able to return to his normal daily living, completed his course of antibiotics, had the sutures removed from the wound on a subsequent visit, and displayed no evidence of infection. 4. What is your preferred empiric antibiotic therapy for a shark bite victim and why? Two things to take into account when managing a shark bite (and any bite victim for that matter) include the oral flora and the environment in which the injury occurred. Bacteria are present in high concentrations in aquatic environments and differ from those encountered in land-based injuries [2,3]. One important bacteria found in the salt-water environment are Vibrio species. In the United States, Vibrio spp. are common in the coastal areas along the Gulf of Mexico, but have also been isolated from areas in New England and along the Northern Pacific Coast [4,5]. The extremely virulent V. vulnificus can be found worldwide in coastal and estuarine environments. V. vulnificus exist in water temperatures ranging from 9 – 31oC, but its preferred habitat is in waters whose temperature is above 18oC with salinities ranging from 15 – 25 parts per thousand (ppt). Salinities greater than 30 ppt substantially reduce the burden of V. vulnificus, regardless of temperature. Most cases of infection can be traced to tropical or subtropical sources. Although we have to take into account these special considerations, Staphylococcus aureus and Streptococcus pyogenes are the most common pathogens in salt- and freshwater injuries [1-3]. In a study by Unger and colleagues, susceptibility of bacteria isolated from the oral flora of Florida Black Tip Sharks (Carcharhinus limbatus) was evaluated . Gram-negative bacteria made up a majority of the isolates and consisted of Vibrio spp. and Pasteurella spp. The composite of gram-positive organisms included various coagulase-negative Staphylococcus spp, Staphylococcus spp., and Bacillus spp. Based on the susceptibilities evaluated in the study, the authors recommended that empiric antibiotic therapy should be a fluoroquinolone or the combination of doxycycline and a 3rd generation cephalosporin. Vibrio spp., Pseudomonas spp., and “pigmented” staphylococcal species has also been isolated from the oral flora of the great white shark (Carcharodon carcharias) . In these injuries, antibiotics should be initiated as soon as possible. If left untreated, fatality rates for Vibrio vulnificus exceeds 30% at 24 hours and is 100% at 72 hours. At our trauma shop, our preferred initial antibiotics for water borne injuries is doxycycline 100 mg intravenous or oral plus ceftazidime 2 g intravenous. For patients with a severe pencillin and/or cephalosporin allergy, levofloxacin 500 mg intravenous or ciprofloxacin 400 mg intravenous ± doxycycline 100 mg intravenous may be used. After initial management, the primary team managing the patient determines the frequency and duration of antibiotic therapy. 5. How long should empiric antibiotics be continued for shark bite management? This aspect is more of an art than a science. 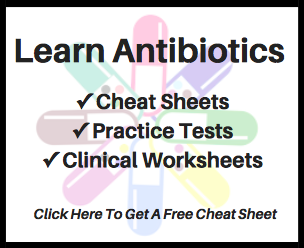 For patient’s that are able to be discharged from your trauma center/ED, it is reasonable to complete a 7 to 10 day course of oral antibiotics with wound care follow-up. For patients that are admitted to a hospital, the duration of antibiotics will depend on their clinical scenario. There is no clear evidence to help guide the duration of antibiotic therapy. As a result, antibiotic duration should be based on location of injury, source control, and patient condition. 6. Beyond antibiotics, what are other major considerations for shark bite management? The primary survey will help to determine other major pharmacotherapy that is needed for the patient. After the assessment of airway, hemodynamic status, and controlling hemorrhage, other major considerations for the pharmacist include providing analgesia and updating the patient’s tetanus status. Depending on the extent of injury, these patients will have to be taken to the operating theatre for irrigation, debridement, and management of their wound(s). 1. Popa D, Van Hoesen K. A “shark encounter:” delayed primary closure and prophylactic antibiotic treatment of a great white shark bite. The Journal of Emergency Medicine. 2016; 51(5): 552 – 556. 2. Noonburg GE. Management of extremity trauma and related infectious occurring in the aquatic environment. J Am Acad Orthop Surg. 2005: 13(4): 243-253. 3. Hopkins T, Daley M, Rose D, Jaso T, Brown C. Presumptive antibiotic therapy for civilian trauma injuries. J Trauma Acute Care Surg. 2016; 81(4): 765 – 774. 4. Horseman M, Surani S. A comprehensive review of vibrio vulnificus: an important cause of severe sepsis and skin and soft-tissue infections. International Journal of Infectious Diseases. 2011; 15: 157 – 166. 5. Strom M, Paranjpye R. Epidemiology and pathogenesis of vibrio vulnificus. Microbes and Infection. 2000; 2: 177 – 188. 6. Unger NR, Ritter E, Borrego R, Goodman J, Osiyemi O. Antibiotic susceptibilities of bacteria isolated within the oral flora of Flroida blacktip sharks: guidance for empiric antibiotic therapy. PLOS ONE. 2014; 9(8): 1 – 10. 7. Buck J, Spotte S, Gadbaw J. Bacteriology of the teeth from a great white shark: potential medical implications for shark bite victims. J of Clinical Microbiology. 1984; 20(5): 849 – 851. I would like to express my utmost appreciation to Dr. Santiago for taking time out of his busy schedule to participate in this interview and share his perspective on pharmacist considerations for shark bite management. Please be encouraged to follow him @ThePeoplesRuben on Twitter. Dr. Ruben Santiago is a pharmacy specialist in Emergency Medicine at Jackson Memorial Hospital in Miami, FL. He obtained his Bachelor of Science degree in Molecular Biology and Microbiology from the University of Central Florida in Orlando, FL, and completed his Doctor of Pharmacy degree at Nova Southeastern University in Fort Lauderdale, FL. He completed his post-graduate training at Maimonides Medical Center in Brooklyn, NY, followed by a specialization in emergency medicine at The Ohio State University. He is board certified in pharmacotherapy. He has authored an article on the impact of the emergency medicine pharmacist on the culture review process for patients discharged from the emergency department and has contributed to Pharmacy Times regarding his role as the pharmacist on a medical mission trip to Fort Liberte, Haiti. He can be followed on Twitter at @ThePeoplesRuben.